A Herr und Frau Klein giftcard is an ideal present, because - in a flash - it can transform into a beautiful diaper bag, into a cuddly blanket, a cute pull-along crocodile or decorative accessoires that will look good in your child's room or in your living room. Our giftcards can be redeemed in part and do not have an expiration date. You have the opportunity to choose any amount. 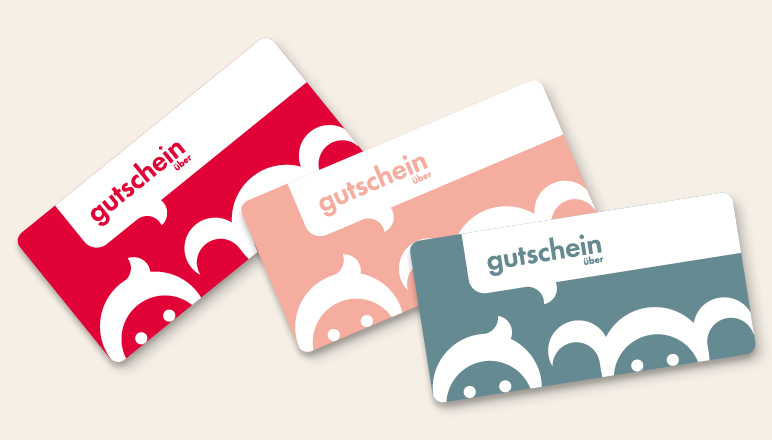 Just inform us if the gift card will be redeemed in our Online Shop or in our Concept Store in Vienna. We will mail the giftcard immediately to you - or directly to the person you want to treat.